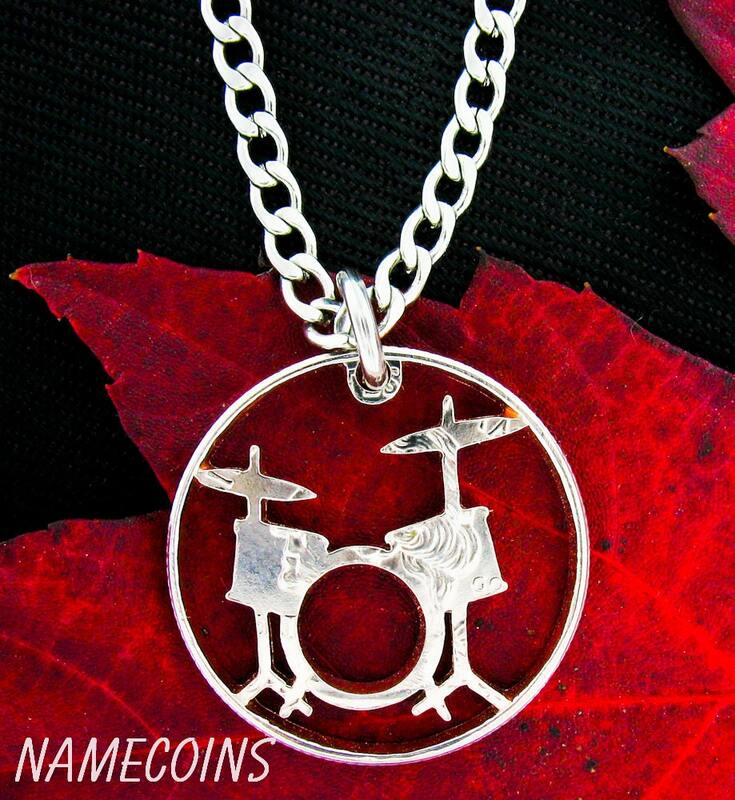 Drum Set Necklace, Rockers jewelry hand cut coin. This cool necklace is very noticeable and unique. 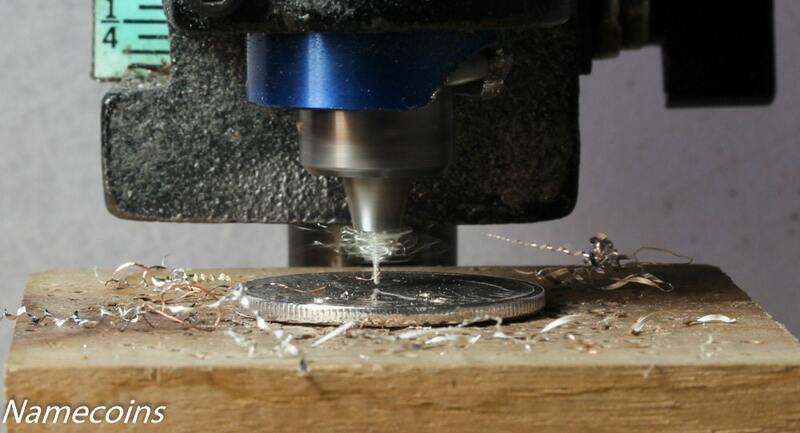 We cut all of our jewelry by hand. It is very strong and will last forever. 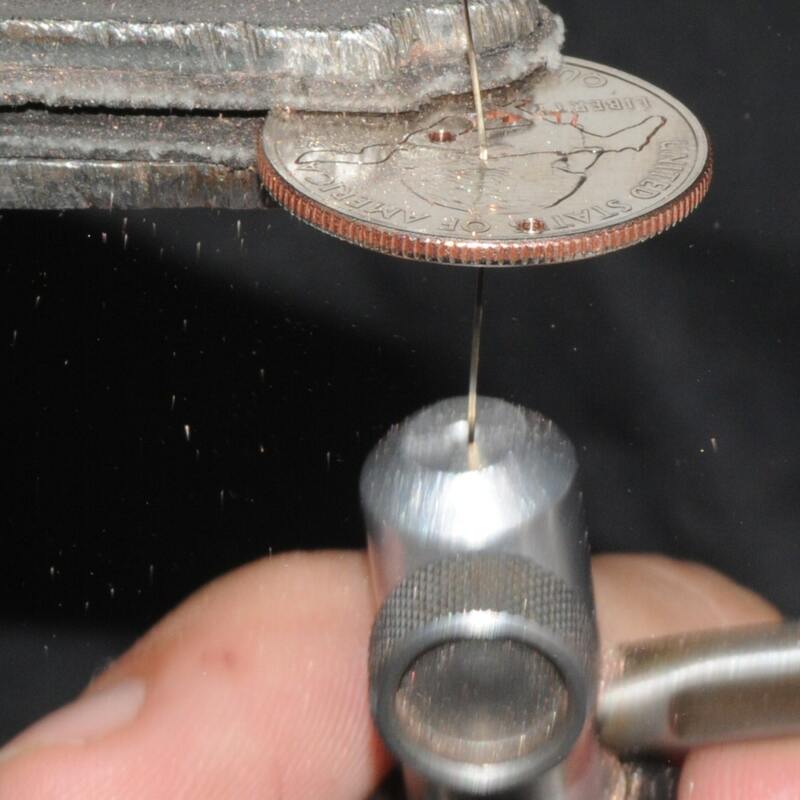 You notice the ring around it, that is actually the rim of the coin left behind after we cut out by hand in our 'thin rim' style. 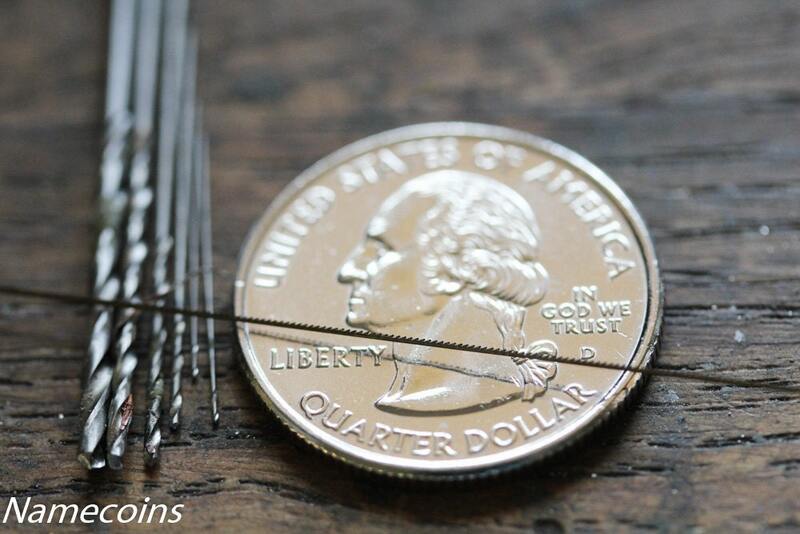 A high quality stainless steel chain comes with it. 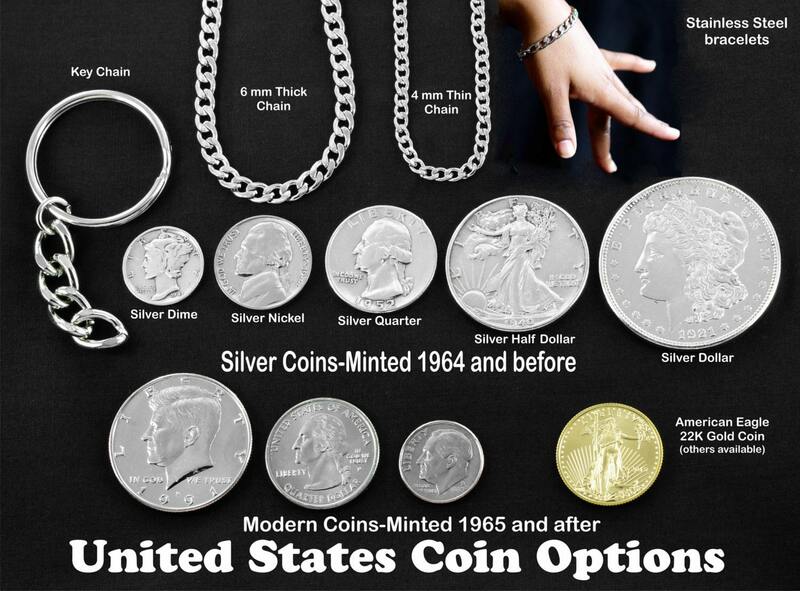 Look at the second picture to see our different chain options. My nephew passed away last month. He was a drummer among other intellectual things. This is for my brother in law to remember him and keep him close to his heart. What a cool product! Very liked by the 14 year old that received it as a gift. Totally cool! Thanks so much. My husband with love this.